Here is our dilemma…..no money, hahaha, that’s not really the dilemma, however it does play a large part in our dilemma as we do live on a pretty shoestring budget with no room for any extras for emergencies, such as repairs….. 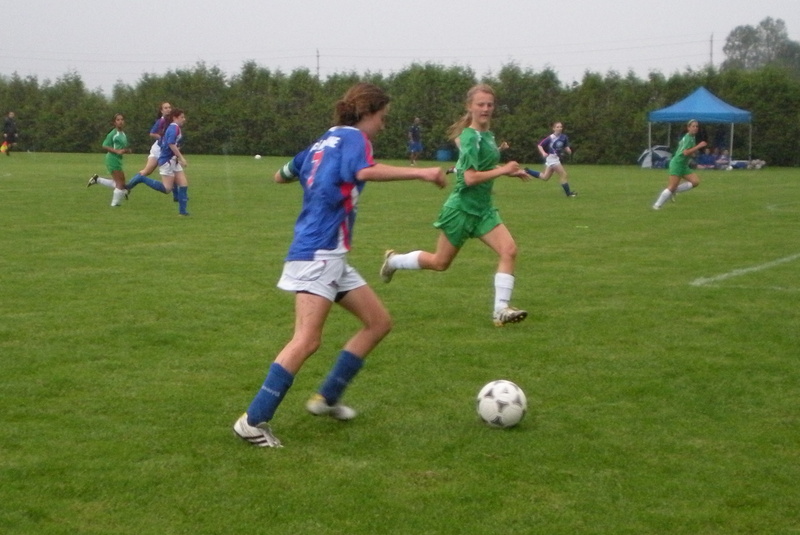 This weekend we have to be in Barrie (about 2 hours north of us) for a soccer tournament. Hotel is booked for Friday and Saturday nights. The question is…..How do we get there? 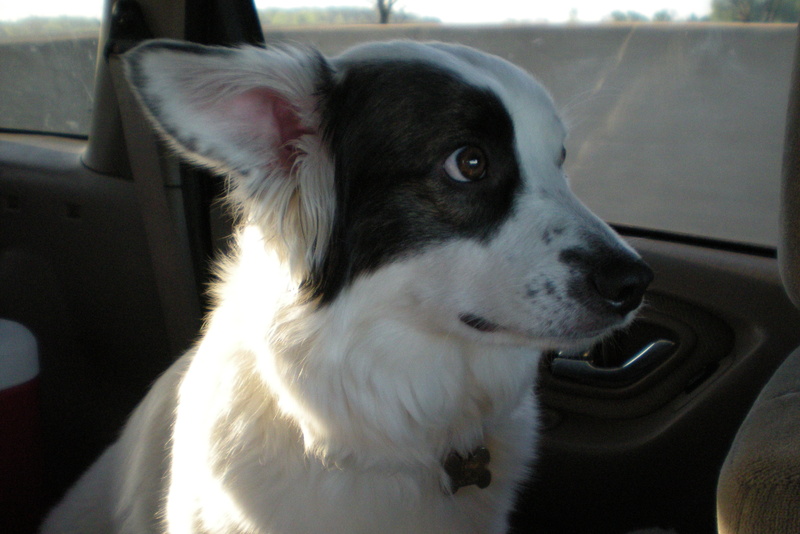 Our truck’s brakes are bad….grinding bad….it will not make the trip to Barrie as is. It’s embarrassing to still be driving it at all with how loud the brakes are. So….on pay day (Friday) do we take the money…..possibly $600 and try to get the brakes fixed in time to head to Barrie, or do we put that off, continue to drive around town with our brakes grinding until they just don’t work any more and we have ruined any possible chance of salvaging anything and instead take the money on Friday and rent a car to drive to Barrie for the weekend leaving us to still need the brakes fixed at some point. 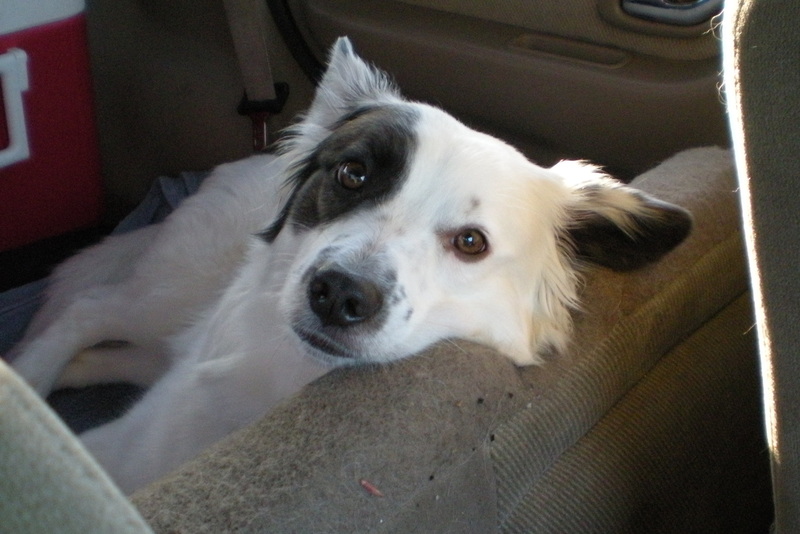 take the truck in get the brakes fixed….today…..and presto magic….no dilemma. However, as I mentioned earlier, no money is indeed a dilemma for us. 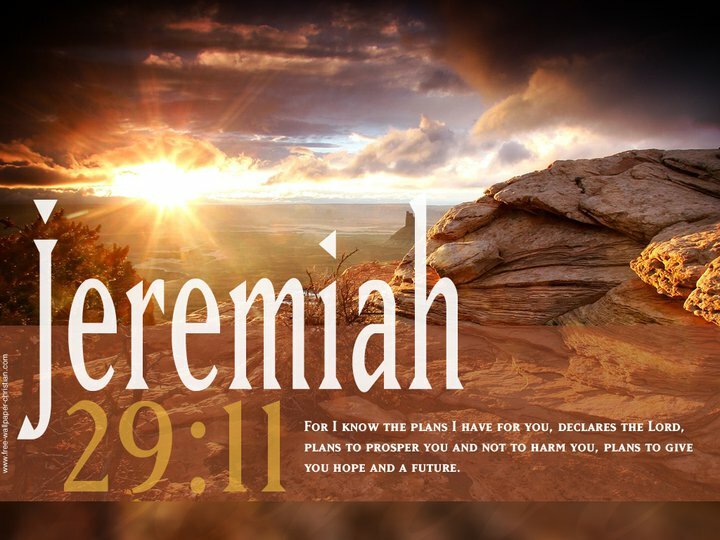 Today I will think about this and pray about this and wait on the Lord to see what the solution will be in the end…. Stay tuned for the answer to one of life’s little curves….. 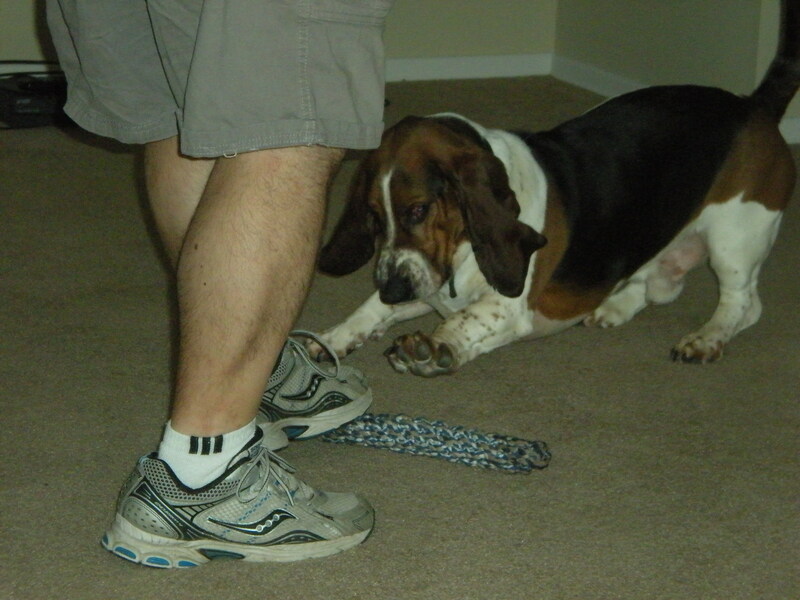 It is now Thursday June 2nd and here is the update on our dilemma….turns out Chris “knows a guy” who can fix brakes!! The original plan was to do it Wednesday night but he discovered he was missing a very important tool so he couldn’t do it until Thursday….today. 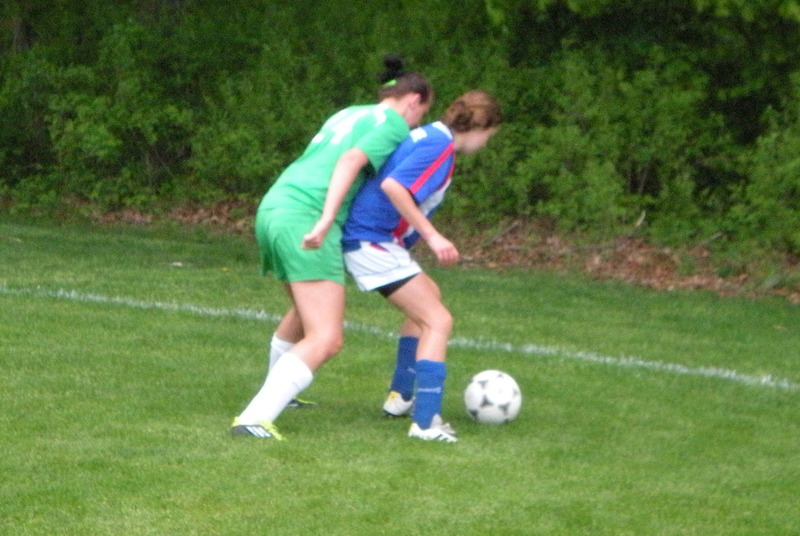 The only problem with today was Erika’s soccer practice…..would the brakes be done in time to get her there?? Well I emailed her coach during the day to let him know what was going on and that she might be late or not get there at all. I am happy to report that Erika got to her soccer practice on time, the brakes are now fixed (thank you Guy Chris knows), and….it was less than $200.00!! 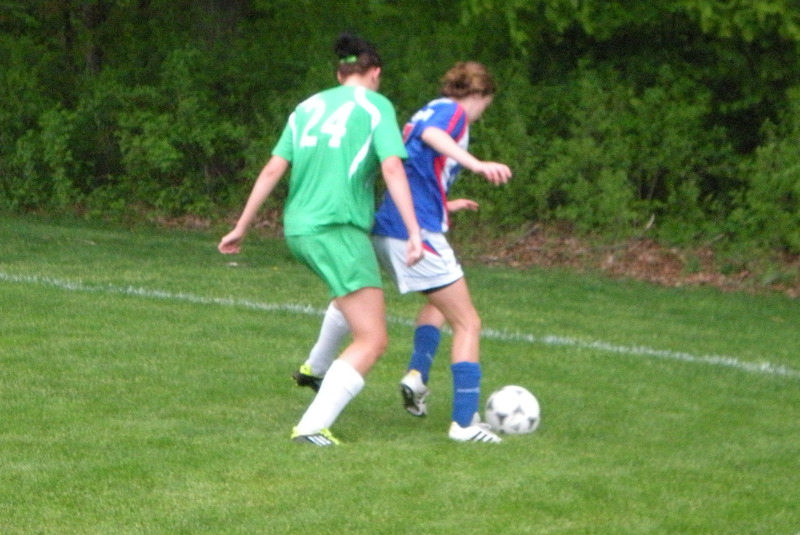 Bring on the soccer tournament!! One of life’s little curves straightened out! 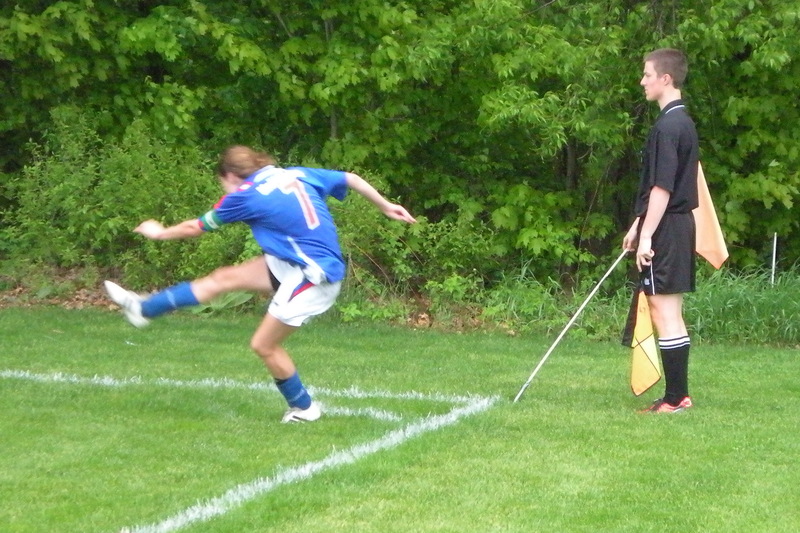 Pictures of Erika in her District 10 High School Soccer semi final game vs Ross…..stolen from her school’s web site. Posted in School Sports. Bookmark the permalink. 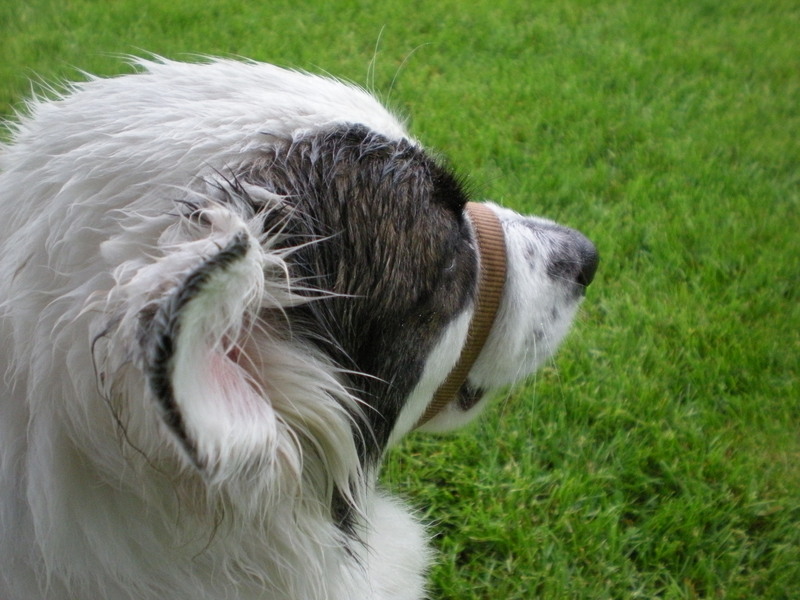 What a weekend…..sunny and hot…..rainy and cold….. 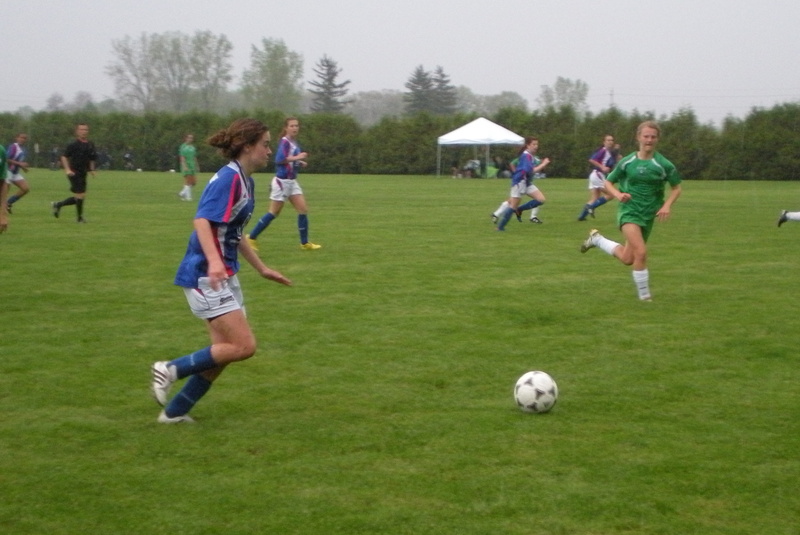 The Victoria Day weekend was the Kick Off Cup for Erika’s soccer league. Crazy weather and crazy schedule. Saturdays schedule was a 9:15am game followed by a 4:45pm game…..long day of nothing to do between games, after all we are in a little place called Strathroy. 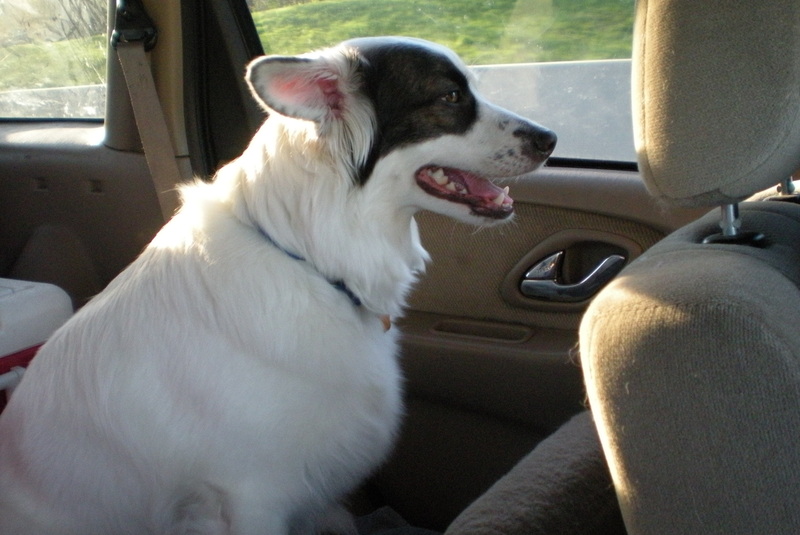 We had to leave pretty early on Saturday morning to get there by 8:30am, and of course we had to take Emma with us because it would have been too long of a day for her to be crated while we were away. 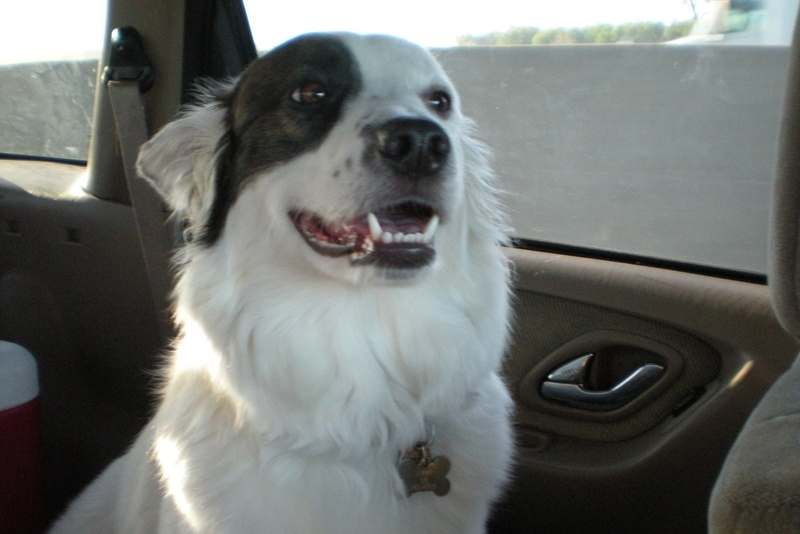 This was Emma’s first long car trip with us and she was an amazing traveller. 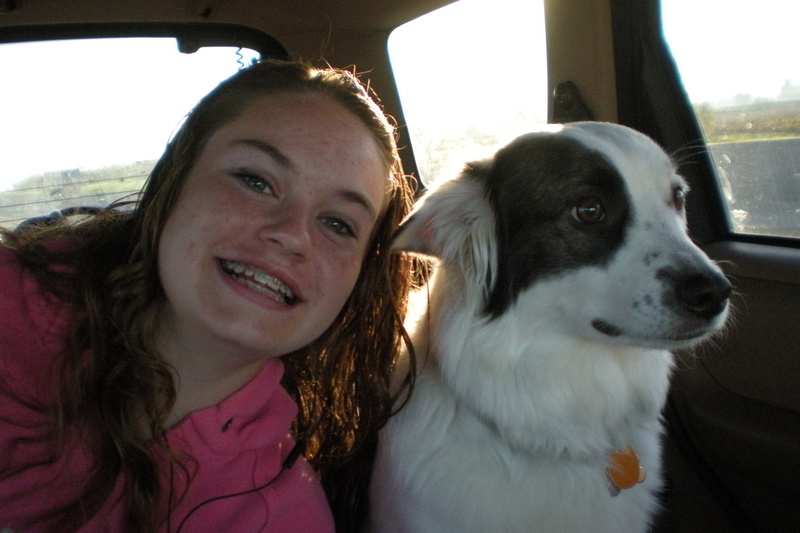 She basically slept with Erika in the back seat all the way there and back…..just popped up every once in a while to look out the windows to see what was going on. 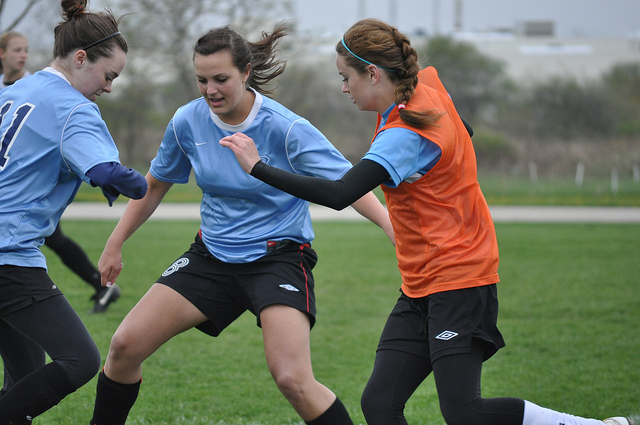 The girls first game was against the Eastside Kickers…..and they kicked our girls butts…..lost to them 2-0. 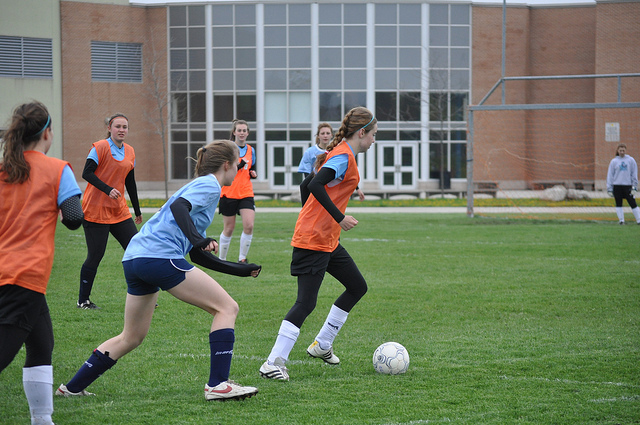 Our girls did not play very well as a team. Time to kill….We brought enough food and drinks with us to snack on all day so we went to the park where the next game was going to be and spent the rest of the morning and afternoon camped out behind our SUV with the back door open trying to create some shade. Not overly successful…..we all got sunburned. Finally, time for the 4:45pm game against the Woolwich Wolfpack. 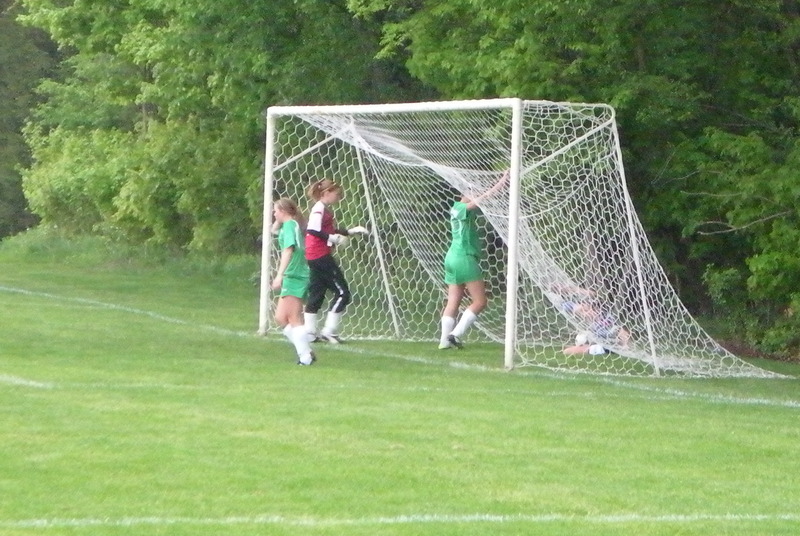 Again not a great team effort….and the end result was a 1-0 loss. So…..hot, tired and sunburned, we pack up and head home, only to get ready for an even earlier start Sunday morning. Up at 4:30am Sunday morning to get ready to head out for a second day of soccer. We stopped at the car wash first to get the bugs washed off the windshield so we could see through it and traumatized poor Emma who nearly jumped from the back seat into my arms in the front when the high-powered rinse water hit the truck with a huge roar. 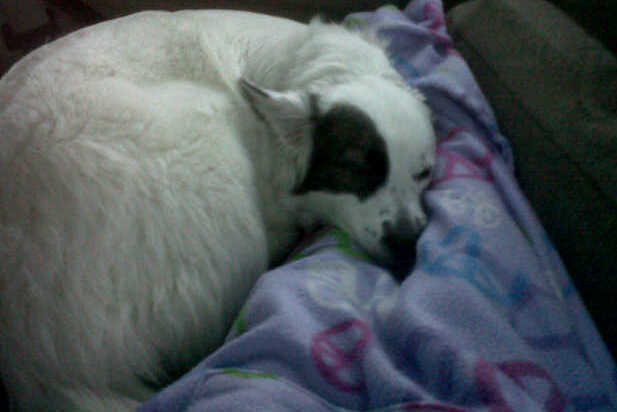 It took until we were at least halfway there before she settled down and started to relax again….poor puppy. 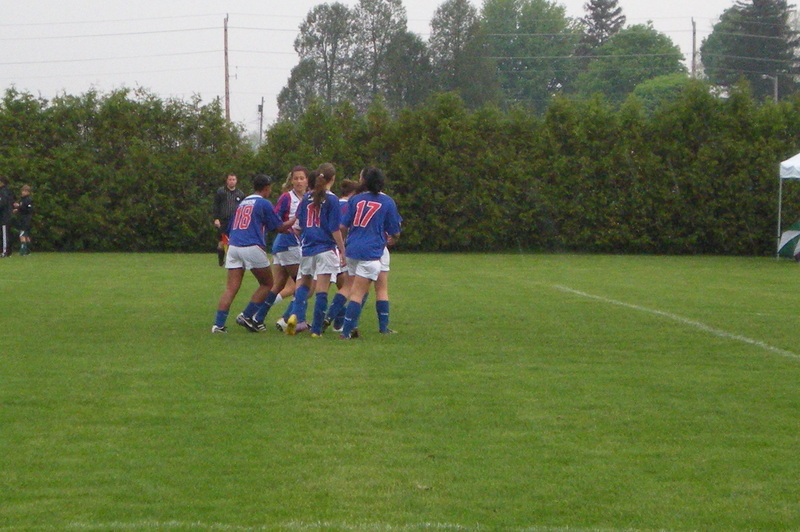 The girl’s game on Sunday was an 8:00am quarter-final game against the NorWest Shock…..a much better team effort in the cold and sometimes pouring rain….all girls played together and the result was a 2 – 0 win. 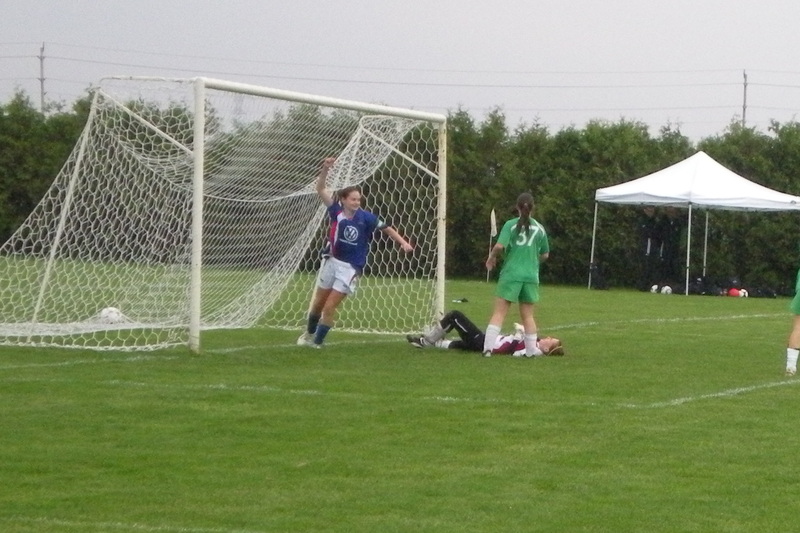 Both goals were scored by Erika, who had an awesome game, despite being taken down near the end of the game and being carried off of the field by the coach….a bit dramatic maybe. 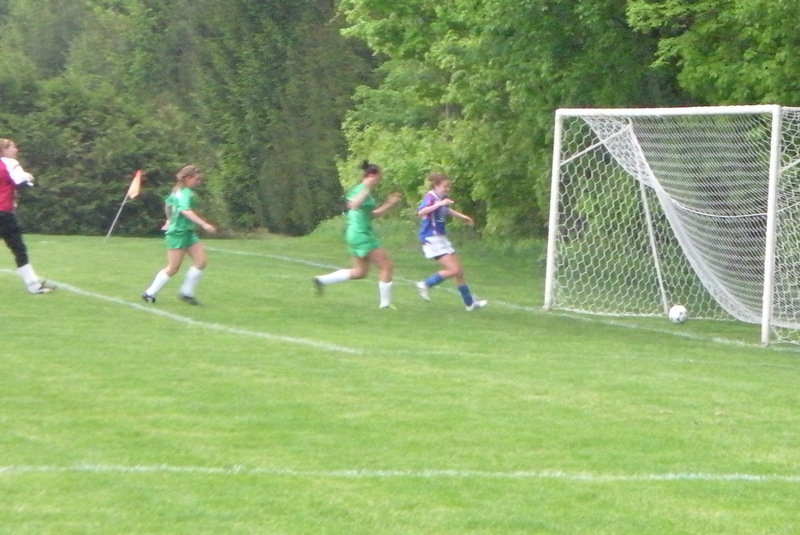 This win moved the girls into the semi finals to be played at 11:45am….not as much time between games on Sunday. 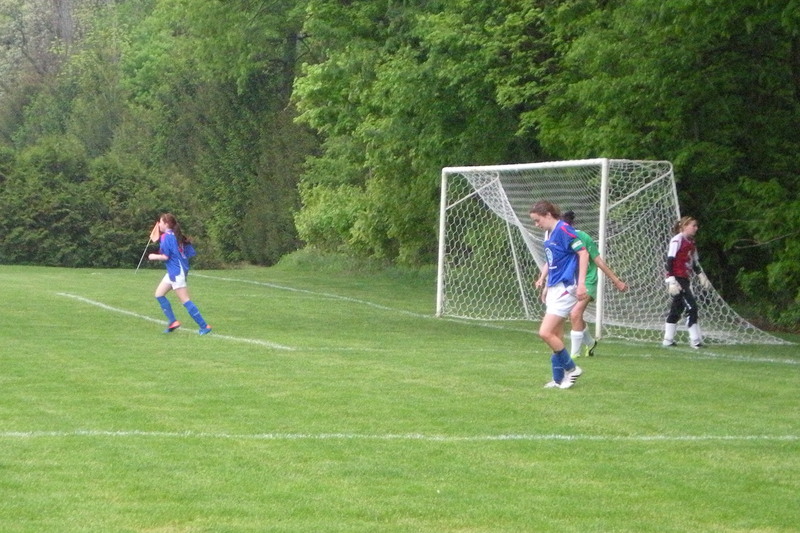 Emma got a good soaking despite our efforts to keep the umbrella over her, so after the game we drove to the nearest Wal-Mart (for a new umbrella and dry socks to change into) and Tim Hortons for warm drinks, and then back to the field for picnic lunch in the pouring rain and wait for the game against North London Galaxy. 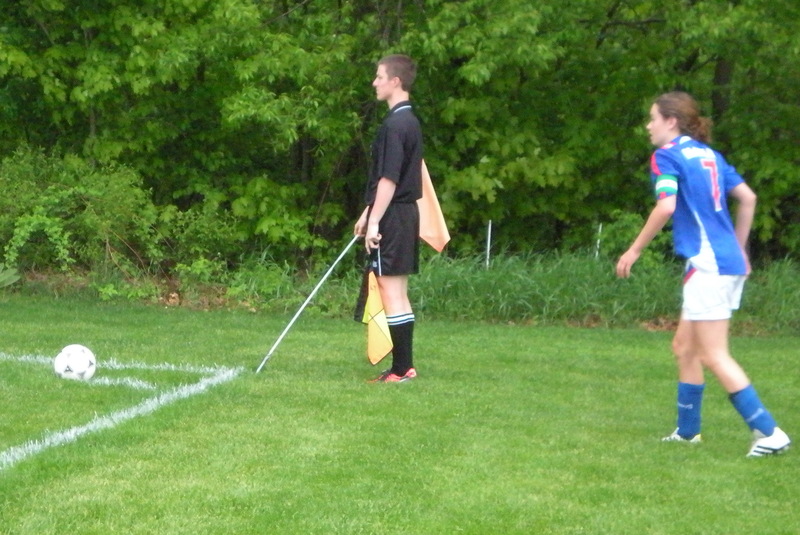 By the time the game began the sun game out again but it wasn’t overly hot so it was good soccer weather. 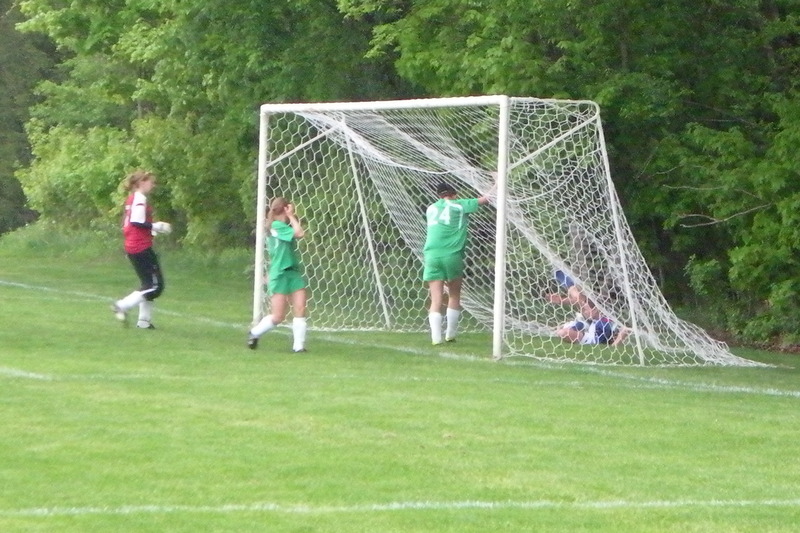 The game was tied 1-1 right up until the other team scored on a penalty kick. Our girls just couldn’t find another goal to tie it up again so they lost in the semi finals and the Kick Off Cup was over for another year. We packed up and headed home to enjoy what was left of our Sunday afternoon. It was a great couple of days putting Emma to the test to see how well she would travel and she passed with flying colours. She barked at certain people from time to time but basically just sat around with us and ignored the commotion going on around her. 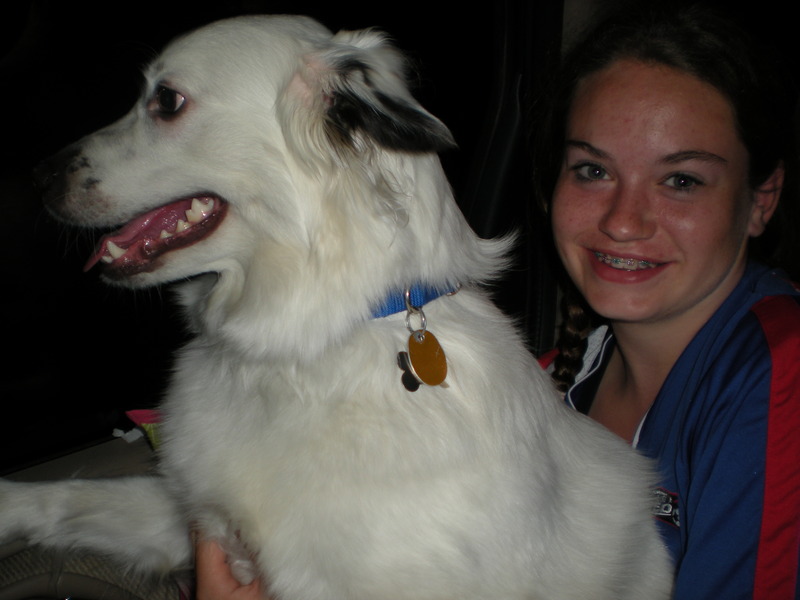 Should be a good soccer season with our travelling pup. 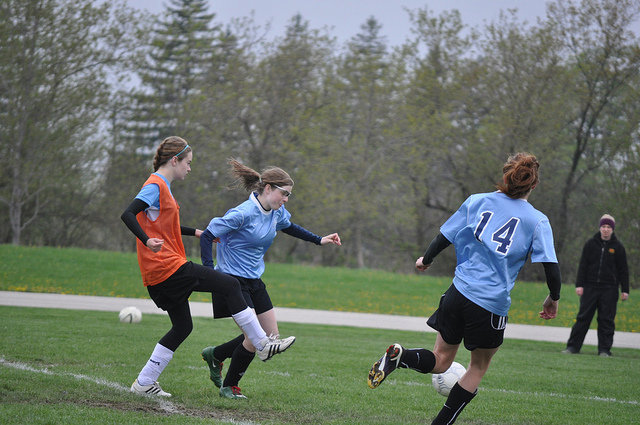 What a weekend…..wet, cold soccer….typical soccer weather I guess, but not really appreciated by me. 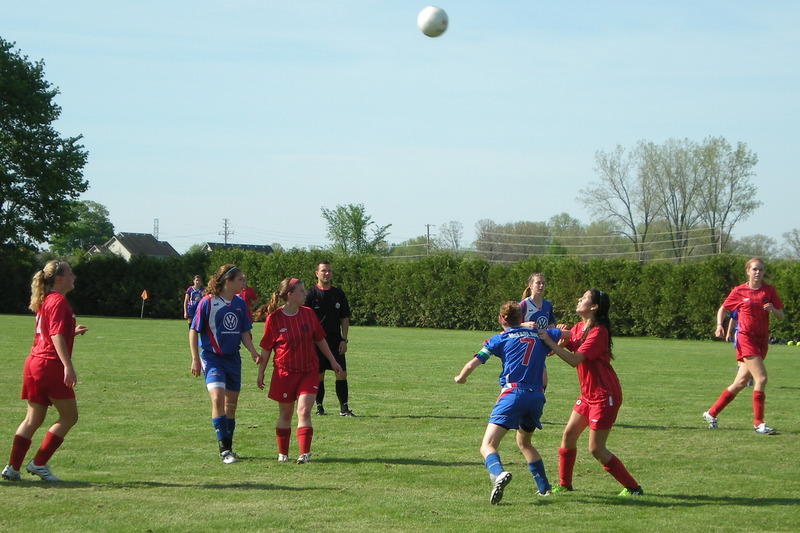 Erika’s soccer team had their prelude to the beginning of their soccer season by staying over night in residence at Wilfred Laurier University and playing three exhibition games. 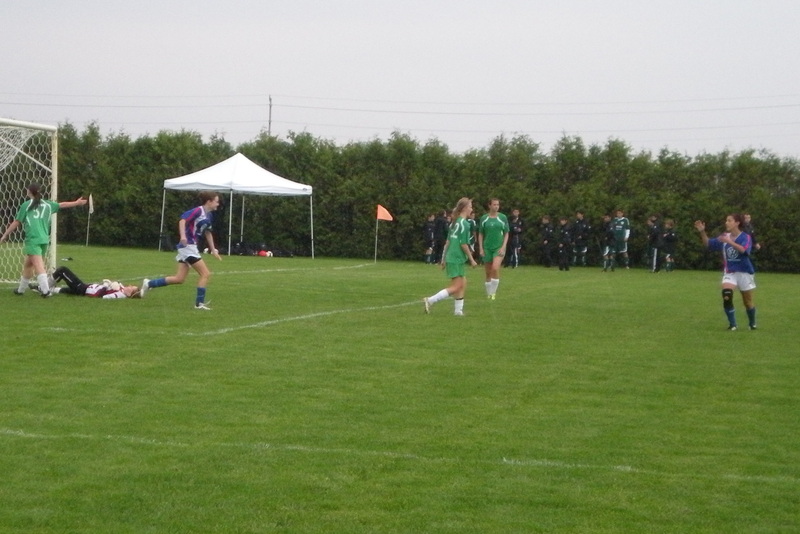 The first game was on Saturday morning at 9:00am against the U17 London Hawks. 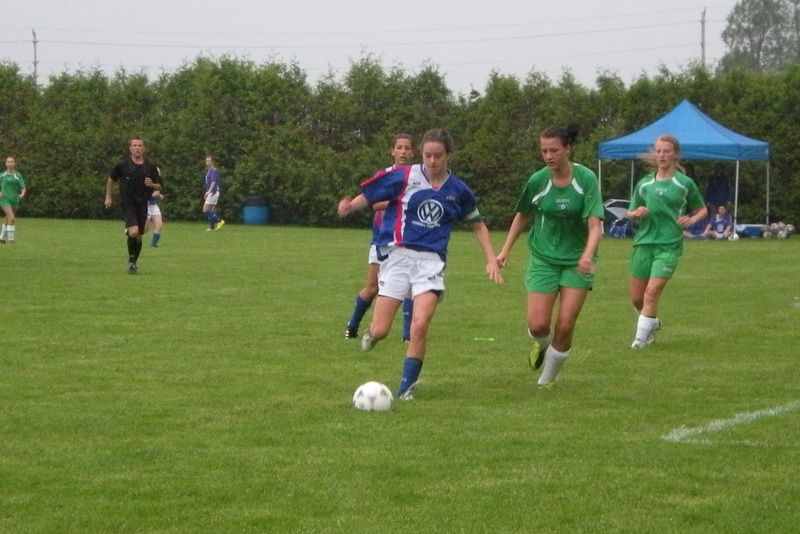 The girls played really well, Erika had a fantastic game….they beat London 3 – 0. This was a great confidence boost to be able to beat an older team. I wouldn’t have wanted to be in one of those cars heading back to London after being spanked like that by a younger team. After the first game the girls checked into the residence and had some lunch and relaxed until their next game at 3:00pm against Dorchester U17. Chris and I missed that game because I had to attend an event for work. 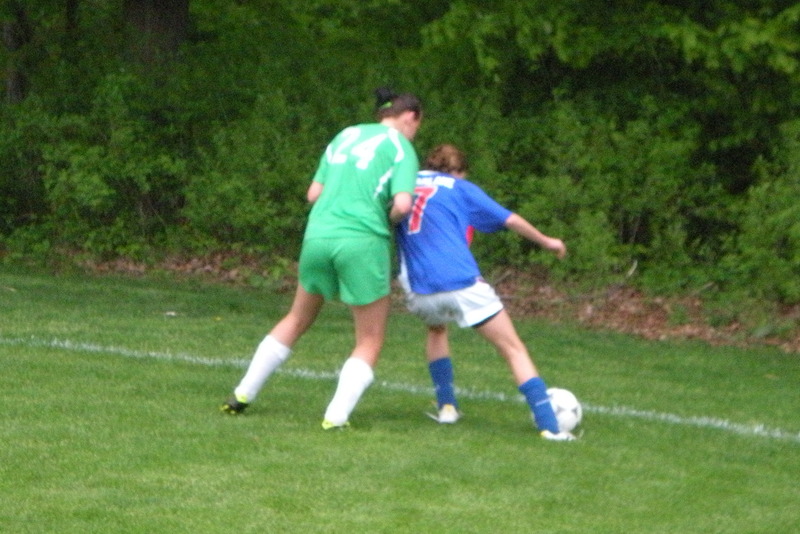 The game went well and ended in a 1-1 tie. Chris and I got back to the University just before dinner and hung out with the parents while the girls showered and changed their clothes. Dinner of chili and spaghetti and salads was delicious. After dinner the parents headed home so the girls could hang out together before heading to bed. Sunday morning Chris and I got up and went to Angels for our usual weekend breakfast, and then headed back to the University to watch the final game against U17 Brantford Galaxy in the freezing cold rain. Erika’s team lost this game 3-0, possibly due to the lack of sleep from the night before….Erika took a bit of a beating in this game, but she usually does…..she plays tough. 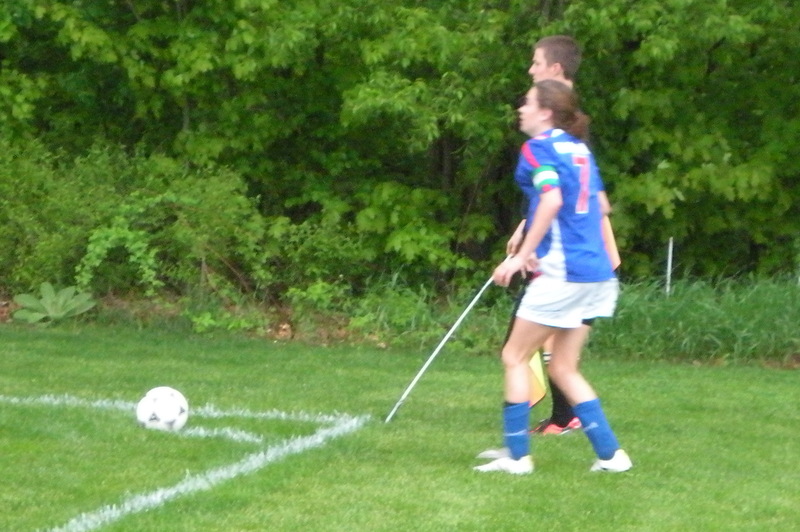 At one point in the game she got tripped up and hit her back on the bit of the curb along the edge of the turf. 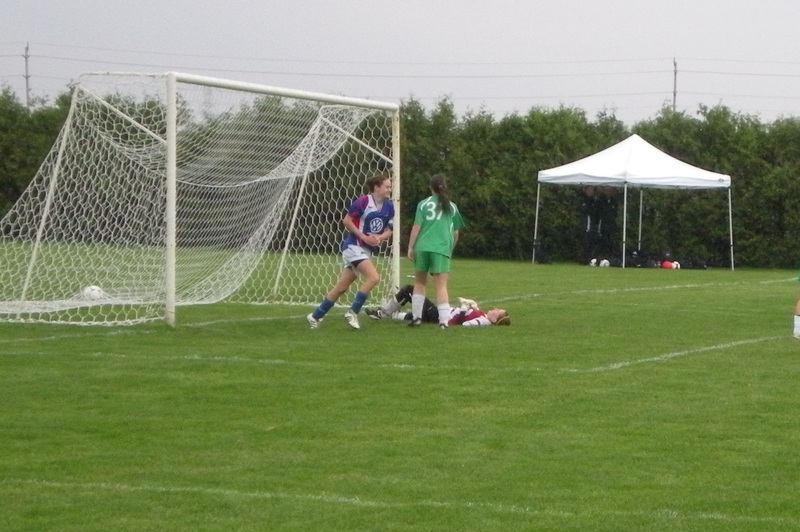 Near the end of the game she was taken out and went down hard and banged her head off the ground. 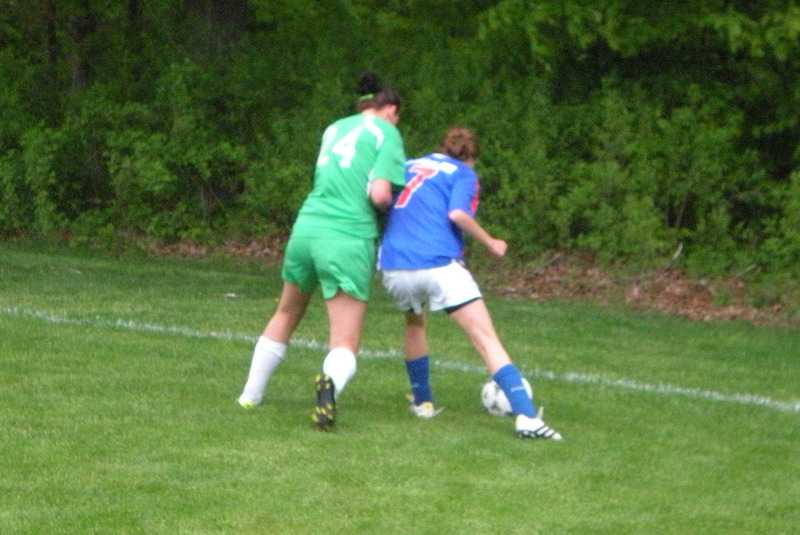 That hit did her in and the team trainer had to come over and take her off the field. We were worried at first that it might be a concussion but she seems to be fine now. 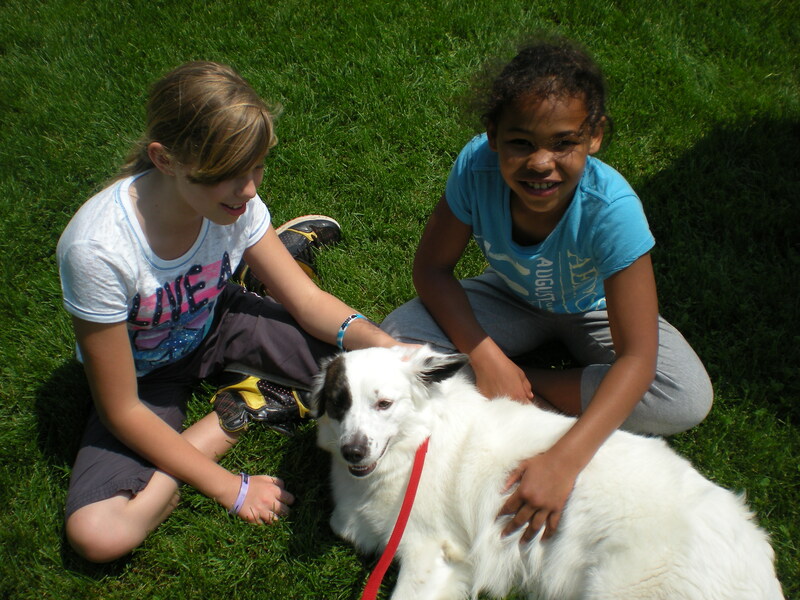 The girls all seemed to have a great bonding weekend despite the cold wet weather. 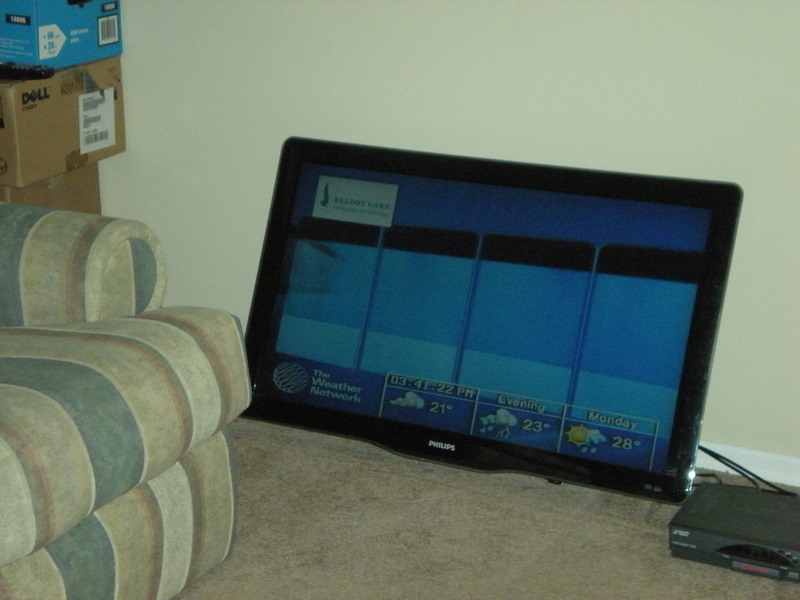 Here’s hoping this was the worst weather we will have this season…..I’m still cold. Dictrict 10 Track and Field…. 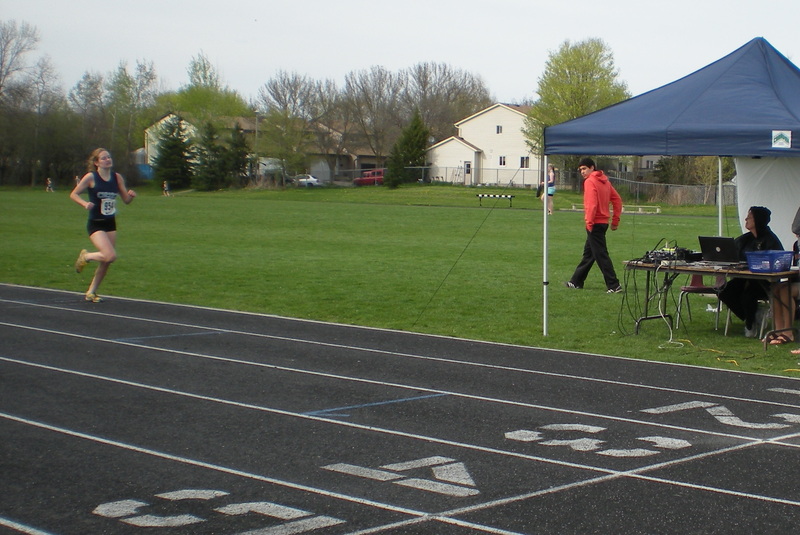 District 10 High School Track and Field was held on Wednesday and Thursday, May 11th and 12th. 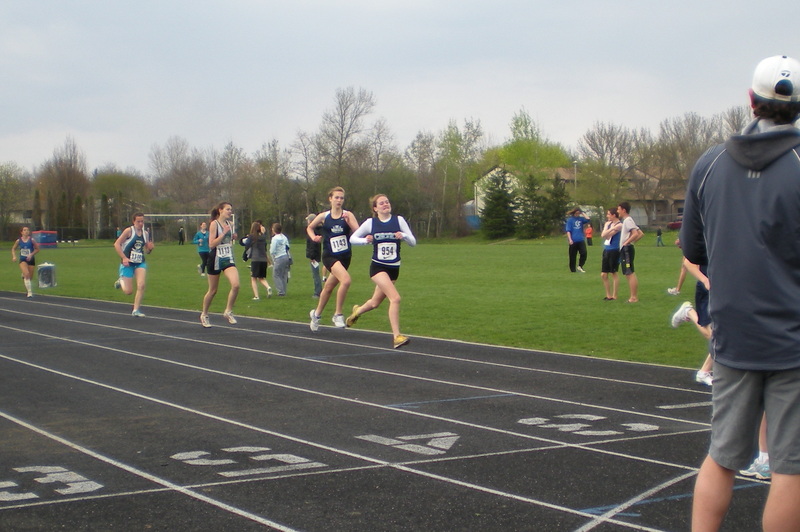 Wednesday was a warm sunny day and Erika ran her 1500 meter race. Her run was to be shortly after 2:00 pm so I left work around 1:30pm so I would be there in time to watch her run and get some pictures of her. I told my boss I should only be gone about an hour. Well I was wrong about that. Her race didn’t get started until about 4:30pm. I have to say it was worth the wait, Erika finished in first place with a time of 5:32.73. Coming in to the finish line…. I took off right after her race and got back to work just before 5:00pm. I finished what needed to be done for the day then went to pick up Chris and Shana from their work. About 6:00pm we headed back to the track to pick Erika up. She had just finished running the 4×100 meter relay and her team finished in last place. Thursday was not as warm and was spitting rain off and on. 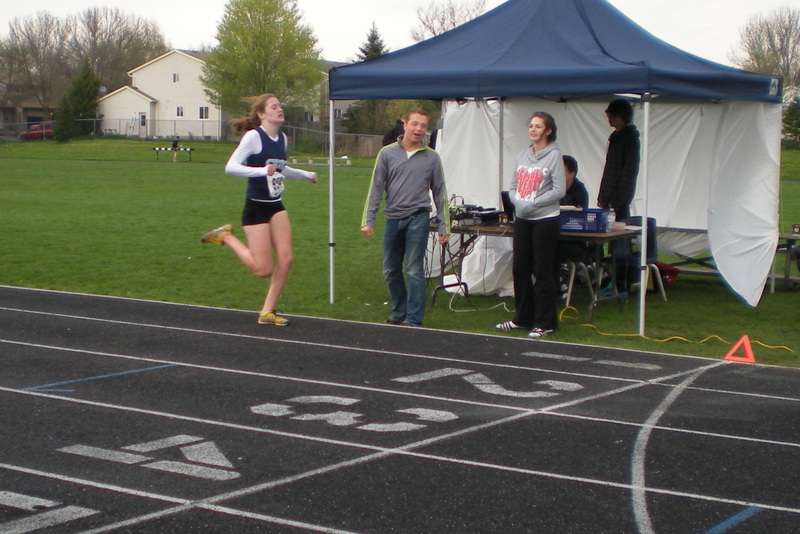 Erika was to run the 3000 meter followed by the 800 meter. I told Erika to call me about a half hour before her first race to give me time to leave work and show up to watch her run. She called and said it was just announced that her run would be next. I rushed away from work to get to the track and not miss her 3000 meter, part way there she called again and said the announcement was a mistake and she wouldn’t be running for a while. I was too close to turn around and go back to work so I hung around the track for the second day in a row watching kids I don’t know run races. Erika’s 3000 meter was finally called, so I got my camera ready and took pictures of her winning her second race of the D10 Track and Field. Erika won with a time of 11:49.18. The race was very close between her and another girl right up until the last lap. 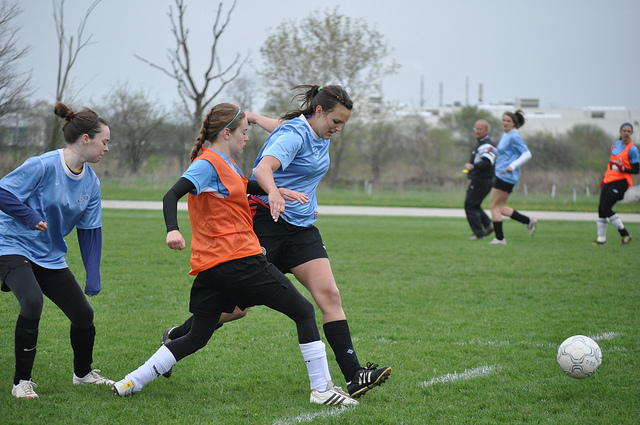 The other girl thought she was already on the last lap so she sprinted past Erika across the finish line and stopped. Erika was holding up one finger and asking at the time keep table if there is still a lap to go and they said yes, keep running!! The coaches were yelling at the other girl to keep running, one lap to go but Erika was already past her and pulling away from her. Erika crossed the finish line .17 seconds ahead of the other girl. Erika had a little bit of time to rest up her rubbery legs and prepare for her 800 meter race which was next. 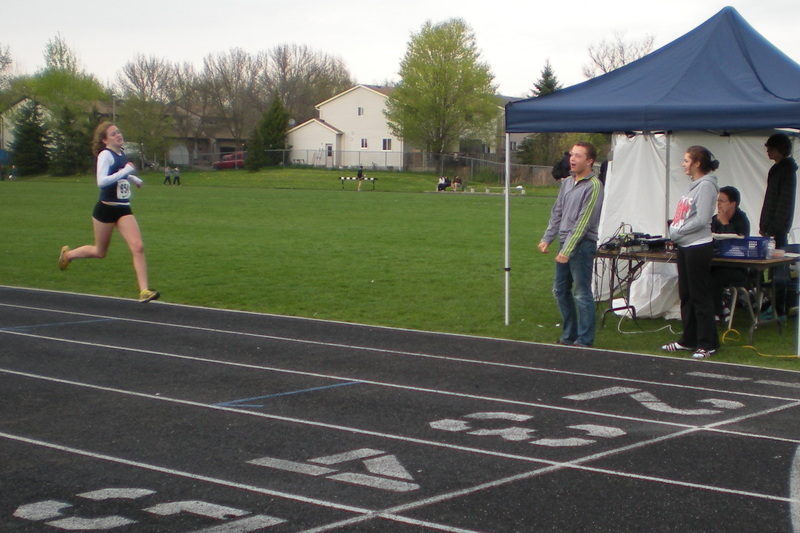 There were 14 girls running in the 800 meter. 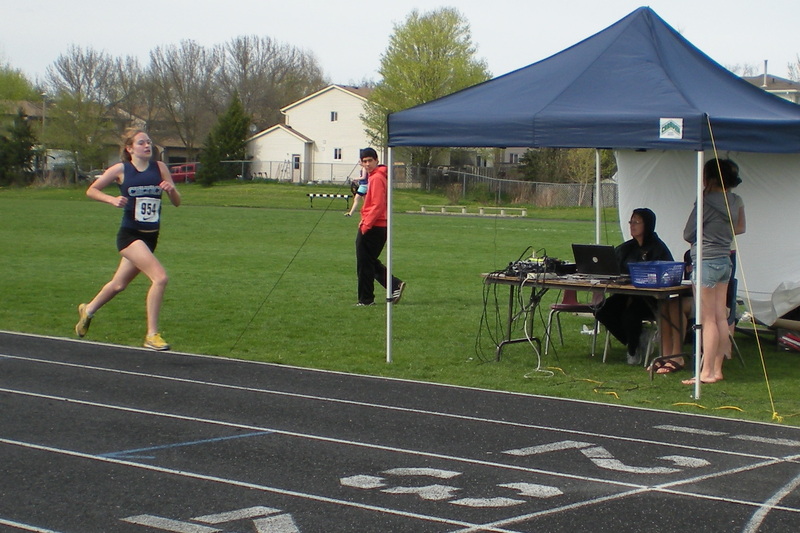 I didn’t actually expect her to do very well in this race at all especially after just finishing a 3000 meter. 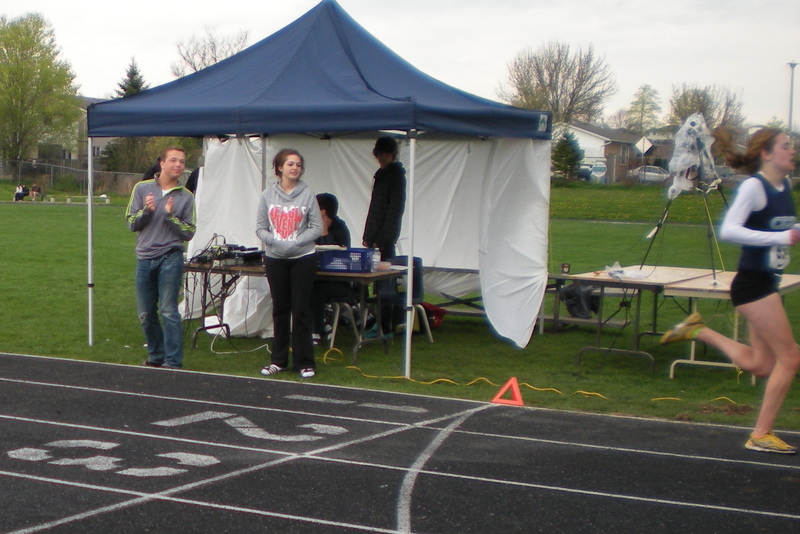 She sure did surprise me and maybe herself too….she finished in 3rd place and her time was 2:45.75. 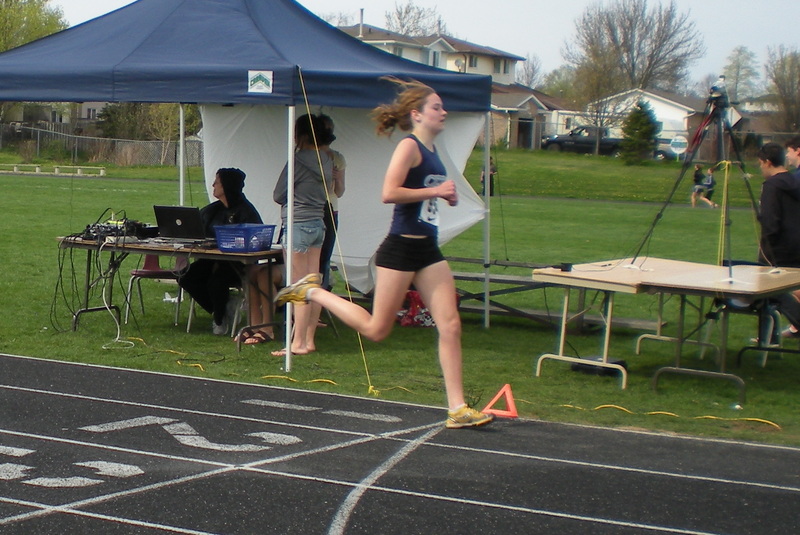 Erika had a very successful two days, she ran 3 races and qualified for CWOSSA in all three events. We are so proud of her!!! It was definitely worth playing hookey from work both afternoons. I’m glad I could be there to watch her run. 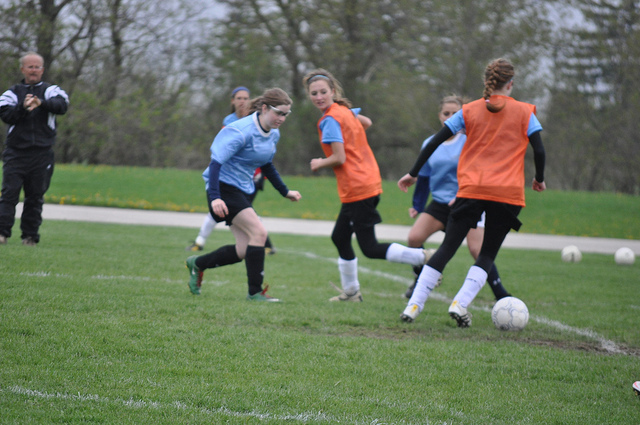 High School Soccer again today…..didn’t get to take time off from work to watch but the game was still on when we got there after work. Guess what?……It was a balmy 18 degrees for today’s game. Go figure.